JAIIB is a professional course for working banking professionals and those who aspire to pursue banking as a career may appear in DBF exams., which is identical with similar syllabus are and taken also simultaneously. IIBF operate with a vision of creating well informed and knowledgeable bankers through this professional course. IIBF through this course are checking in depth knowledge of the bankers and then certifying them with JAIIB or DBF certificates. This also allows Bank employees to avail special one increment in their salary too… thus it is beneficial in monetary terms as well. While preparing for such professional courses, one need certain discipline and tenacity for consistent preparation. While working entire day at Bank in high demanding situations and pressure cooker environment, it is not easy to steal 2-3 hours of time every day to continue your preparation. I therefore thought of “e-learning” solution which may help you as a busy banker, to read and practice on your preferred electronic mode: a mobile, tablet or Laptop. Apart from comfort in reading and preparing well, this is the cheapest source of learning. The curse contents may also be updated more frequently than a text book. 1. Not understanding the structure of examination paper: Our papers are of three level. Easy, Moderately difficult and difficult. Easy portion is of around 25-35 marks, moderate difficult is of another 35 marks and rest is difficult. Easy portion & some portion of moderate difficult one, can be answered with some readings of the subject and also our experience in banking and knowledge acquired during bank working. However, we failed to go beyond that as we have not studied the subject in deep and hence our score remains in the range of 35 to 45 and not beyond. 2. We are looking for shortcuts in study.. Like we are purchasing or searching for MCQ (multiple objective questions), with the thinking that some may come in exam and we can clear the subject. 3. We are not devoting enough time for study of subject in detail. 4. We study the subject without taking due care of its requirement in our banking life. 5. In case of practical subject like accounts etc., we are trying to solve so many number problems for practice without understanding the concept of it…. 6. Some of us are having thinking that if we complete all questions (ticking with some guess work also) in examination then we will get at least 50% correct. How to overcome and score pass marks in the exam? 1. Visit the subject in detail with proper book or study material in hand..
2. Always remember the concept and then go ahead with solving certain questions. 3. Also do remember that examiner can set ‘n’ number of MCQ (multiple objective questions) on topics/subjects and if we are strong in concept then it is very easy to apply to solve such MCQ’s. 4. Look out for study material/book which is comprehensive and easy to understand. 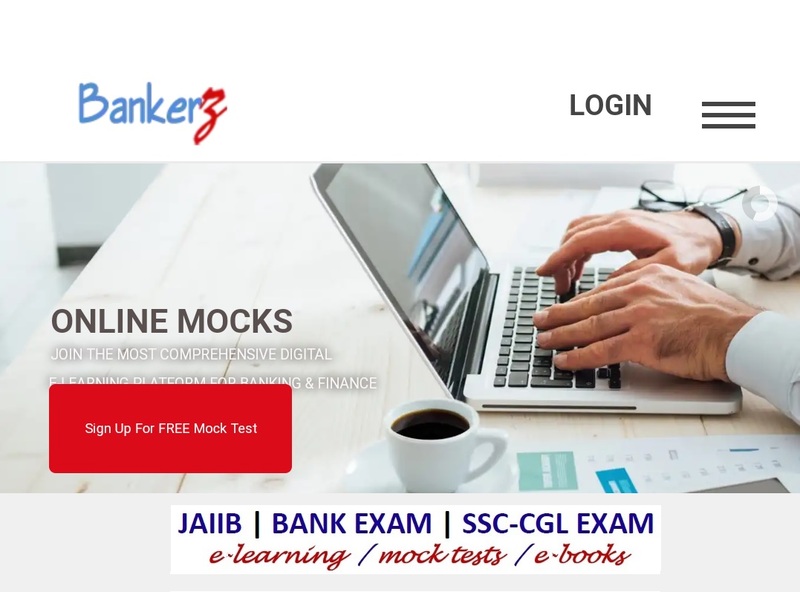 Bankerz has brought excellent e-learning courses for JAIIB and their e-books and Mock tests are very cogent and top-quality course content. Subscribe to Bankerz Platinum course and just follow the syllabus and Mock Test/Practice Test package. Paper 1: Principles & Practices of Banking, look out for practical aspects of banking to be supported by guidelines & legal/statutory requirements. Don’t get into trap of some loose working phenomenon sometimes we use in our working while answering the questions, because many times practical and theory are different. Look for special knowledge as regards the principles of banking in case of type of customer, there operations or procedural aspects, advances products, garnishee order/set off. Don’t ignore banking technology aspect as well as marketing aspect in the subject..
Paper 2: Accounting & Finance for Bankers, grasp the concept of accounting and bifurcate the subject for study in two. One accounts & other finance.. In accounts look for basics and concepts so that you can be able to answer questions on BRS, inventory, depreciation, company accounts, partnership etc. As regards second part finance, look for calculation of PV, FV, bonds, Forex, banking accounts etc. So start early and get the success in the coming attempt….